Gently waking is an art, and no one does this better than the Spring. As the spring thaw begins, we are washed in gifts. Seeing ourselves in the world around us as reflected in the still puddles of rain and melted ice opens the subtle birthing of a new spring. Here we can ride the springs rise if we are present and willing to just let it work for us. The fourth of The Five Chinese Elements, the wood element, shows up slowly, quietly, with tender shoots and a supple touch. When we look into a still puddle, what do we see? Ourselves of course. The puddles show us our most significant spring/wood medicine obstacles- also ourselves. As we begin to listen to nature's small voice awaken, we must gather our strength to grow from the inside out. Summoning strength and vision, we prepare to bring our new selves forth. Both roots and shoots, coming to life in the opposite, mirrored directions. As the water medicine within reveals the inner obstacles on our path, our wood medicine marches forward as we take the time to honor the challenges along the way. By working together, water and wood elements create a birthing process of transformation, revealing our resolve to 'crack our seed-coat', expand upward, lead blindly, by the heat and warmth of the sun's beacon, calling us forth through the dark. Simultaneously, our roots travel down, deeper into the unknown earth encouraged by the comfort received for our efforts as only the mother archetype can. Early spring can be quite confusing and often a miserable experience for us if we choose to see it's wet, cold, windy, gray as a hindrance to our happiness. We have just come through the dark and cold winter, hopefully having used her medicine to rest and dream well; now to a literal 'gray area,' not winter, not spring, somewhere in between. This limbo has more magic to offer than it's superficial appearance. We have the swirling power of two elements consciously and unconsciously calibrating our inner compass to catapult us forward on our next significant steps in life. The spring is about life, new life, and it's groundbreaking power to manifest the dreams of our future becoming. Here are some questions to ponder while we 'chill' in limbo. What are the challenges/obstacles/rock and hard places I perceive as holding me back right now? Anger, hatred, Resentment, Bitterness, Confusion, Frustration? How can I choose to honor these by seeing the profound wisdom and gifts supporting your next evolution? Who will you become as a result of finding your most easeful path forward (the path of least resistance), offering honor and gratitude for all you receive, regardless of the season? As the powerful, driven, self-creating feminine leader woman you are! 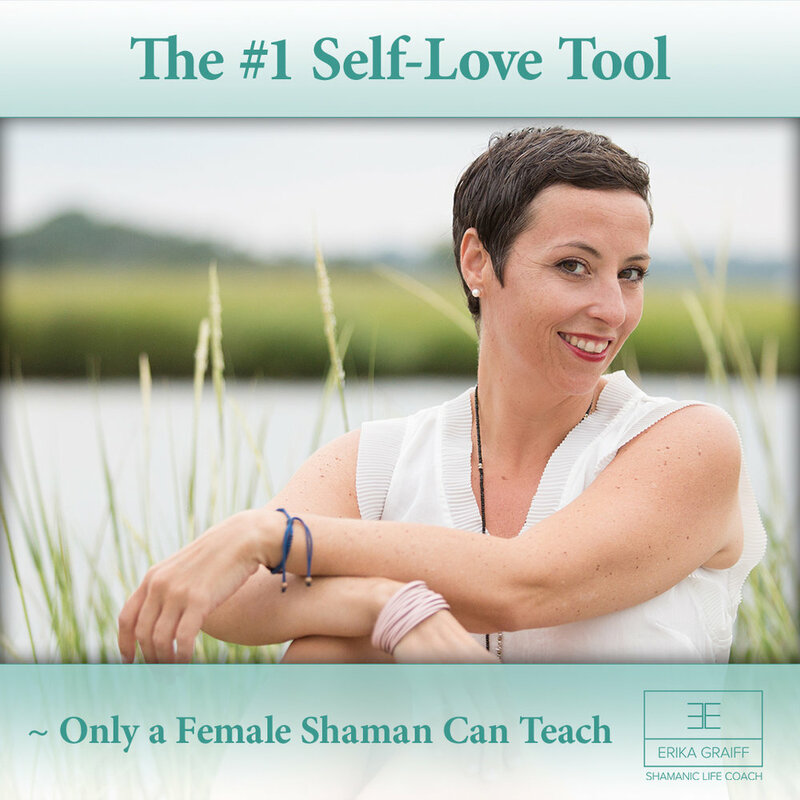 In my life and business, I use this tool daily to create incredible financial empowerment, grounded emotional wellness, and a meaningful life of passionate feminine leadership. I will share my best-kept medicine intended for women to empower themselves through harnessing their gifts and gaining clarity on their purpose and vision while creating a meaningful career, family, business and making a compassionate contribution to humanity. ~Register now as seats are limited. This virtual workshop is for the woman who knows she is here to create from her genius and is ready to do it well. Clearing space is a ritual we can use in all places of transition, especially if you want the best outcomes, bringing honor to the past, present, and future you. As the spring wakes up outside, we must do the same inside of ourselves to align with the shifts and changes. This practice can be useful in all seasons. The earth mama knows just how to keep us well. Take a soul stroll out into your yard, neighborhood, or local park, looking for all the signs of spring. Enjoy and appreciate how the trees have swollen buds, the rare crocus brings a sigh of ease, the forsythia peeking yellow to enliven the landscape, and the ground softening, holding puddles to gaze into, splash, and birdbath. Breathe in the new beginning. Grow something inside. My houseplants are one of my life-saving stabilizers during the winter months but come March; I need more! Forcing bulbs like Daffodil, Paperwhites, and Tulips are a great way to reinforce the shifts felt, which might not necessarily be seen. Also, growing alfalfa sprouts is a simple, nutritious, detoxing, and delicious way to welcome spring into your entire life, mind, body, and spirit. Clear space. When we plant a garden, we must clear and overturn the soil. The same goes when we are making space in our lives for our next steps forward into the becoming of who we are here to be. Choose a closet, cabinet, room, or outdoor space to clean up and organize. Doing so will align your psyche with the season, giving the signal to prepare for something new and lovely. It's a spring ritual, known as 'Spring Cleaning' where we flush out what no longer serves us, making room for what does. This past weekend, I found myself cleaning out several kitchen shelves, organizing my medicine/ supplement cabinets, and going through a pile of mail and my daughter's school forms, and white sage'd my house silly. It brought a sense of preparation as I gather 12 fiercely dedicated women for a 6-month Tao-centric Group Coaching, Sisterhood, and Retreat Experience and Virtual Intensive staring in May. Nothing like a good cleaning to make you feel receptive and prepared. The 'Triangle of Disempowerment' is a common and painful dynamic between ourselves and another, such as money, our spouse, or God/Life. We can easily fall into this relationship pattern unconsciously, especially in times of transition and change. The 'Triangle of Disempowerment' is a path of victimization and blame, one which we perpetuate until we consciously see its chronic outcome of personal disconnection and sabotage. Thus pulling us far away from conscious contributing, being of heartfelt service and equal exchange of energy, while feeling the integrity of aligning with one's souls path. This is my gift to you for being a soulful, driven woman on your soul's mission to contribute empowerment and love to the world. DOWNLOAD HERE! Join us in 'Spring Clearing'! which sets you up to thrive this Spring! There are 'LIVE' Replays on Facebook @erikagraiff from each day cheering you on, giving ideas, shouting out your efforts, all while giving you a deeper understanding of the magic and power of Spring. Find more about Spring Clearing 'POP-Up' Mini- Challenge at @erikagraiff on Facebook. The winter months can be the hardest time to have strong grounding and boundaries, especially for those of us who are sensitive, empathic, and/or feminine leaders; yet, if we do it well, we will be rewarded tenfold for our efforts come spring. Enters where there is no space. This shows the value of non-action. We go into winter as a means of cleansing ourselves. Water is “that which has no substance” and can “enter where there is no space.” Water carved our planet, holds the volcanos asleep until it is their time to rise and cuts through land, patiently digging paths like the great Colorado River at the bottom of the Grand Canyon National Park to the Pacific Ocean. Water is where you rest so that your next year can be downloaded into your internal water as it transmits frequency, as described by the Pleiadian in Conversations with Laarkmaa. Likewise, winter allows our boundaries to be fluid between us and the world, as it is more fluid and expandable than other seasons. The winter’s dreamy slumber is perpetuated by a flexible field that allows us to float on a cloud of joyful expansion. While our bodies rest, our spirit is open and receptive to the possibilities coming forth. It is important to allow your dreams to be yours at this stage. They are quite delicate and can be shattered easily if shared prematurely. We feel safe and protected in the warmth of our beds, wrapped in layers of coziness. Winter offers us this same experience, it can easily be overlooked and missed because of its subtlety. We cannot always be moving, working, and doing at the ferocious pace society deems necessary to live a sustainable life, and winter is the natural season to slow our pace. For women, we have both a monthly and yearly winter, giving us access to a dreamy renewal space for our body, mind, and spirit. While we are resting our bodies, we are raising our minds, guided by spirit, thus raising our vibration and consciousness to hold the frequency of our coming expansion. We must hold boundaries to protect our time of rest, to protect our minds and hearts from dismissing, judging, negating, criticizing, and/or shaming our dreams. Protection from external and internal criticism is necessary. In the winter we dream our biggest dreams of potential. It is our job to deal with the fear that comes when we dream such big dreams. Boundaries are using our “no” as a powerful reclamation of our own personal power. When we hold our boundaries with ease and grace, understanding that this is the time to allow ourselves to dream big and often, then we take inspired action, doing only what must be done. As a deciduous tree loses her leaves in the fall, leaving her bear and exposed to the winter cold, her trunk, branches, and bark get the full experience of being sundrenched on a daily basis in the winter months. The sun warms her, bringing attention to the necessity of the integrity of the bark and her ability to source from within. She remains a stable structure to support the rest of birds, offering only a quiet place to land, rather than the shelter of shade or bountiful harvest of her other seasonal faces. Her boundaries are different in winter. She doesn’t force out leaves or seeds to please a hungry squirrel. She doesn’t uproot herself to offer herself to a bird in need. She stands quiet, stable, rooted, and still. Knowing she is enough right here, right now, and that what she really needs is the dreamy rest of winter, she brings her focus inward and dreams of next year’s growth, searching gently for the path to make her heart sing with the joy of spring. Her commitment to upholding her best boundaries and grounding are vitally important here. If she devalues her own needs by making herself available during this season of rest, then she will ultimately only weaken and potentially damage her integrity and wellbeing. This is the nature of water. It will flow wherever it is directed, and if we allow our inner water to flow outward, using it primarily to give to others rather than to support this necessary time to gather resources and use them well, then we will show up in spring depleted, damaged, and burnt out. One very specific way of honoring your boundaries and grounding is to find and respect your own personal pace by understanding and aligning your time, energy, and resources with the natural movement of your moon cycle phases. Each season and moon phase gives us a new and different energy and pace. Summer is a growth season; supported by the warmth around us, we expand with the heat into the world. Winter is the season of contraction, when the cold reminds us it is best to bring our attention inward, dreaming and creating for no-one but our own souls. It’s also necessary not to lose ourselves in the dreamy space, letting go of dedication to our life’s work. Daily connection to our source and supportive resources needs to be at the forefront of our minds upon waking. Choose a gratitude practice, sit in quietude, gaze at beauty, listen to the universe through journaling or blog writing, read books, do yoga or other body-centric movements, focus your mind, listen to spirit, create art, meditate or practice pranayama. The choice is yours. Make it your own. For me, every morning is different as I let spirit have it say. My job is just to become present and available. In the summer I bring all my morning ritual outside to breathe the warm morning dew. In winter, with candles lit, I sit in prayer, connecting to mother earth in my mind and heart through the silence of her nurturing flow within me. Without this morning pit stop, I feel an instability within my core being, and my day becomes less peaceful and more anxiety-provoking. During the mother and enchantress phases of my moon cycle, when my inspiration and direction are clear for writing, there is a dance between writing and settling into myself. Both need their due time and attention, having equal value and necessity in my becoming. I choose to pray and rock, sit and listen, toggling between staying present in both my breath and the words that need to be spoken. The more I settle and breathe, the more I have to say, and the more the mother, the flow of the water, and the magic carpet ride of the Tao carry me forward. Just like my pile of digestive enzymes, vitamins, minerals, probiotics, herbs, homeopathy, bio-identical progesterone, and aroma-acupoint therapy prepare me for the day, so does the daily fostering of my stable grounding and healthy boundaries. Grounding is rooting your mind, heart, and actions down into the stability of life which is always there to support you. For me, it means connecting to the mother, the elements, my animal totems, my guides, etc. Keeping boundaries is knowing what is “yes” and what is “no” in your life. I choose to say no to anything which requires stress or strain on my part. I have lived many years as the tortured artist, struggling to find the words and outlet my soul longed for. Now, having found what I have been searching for in my practice with women and the courses I offer, I have learned that it is vital for me to go at my own pace in everything in life. Pushing or stressing feels like a distrust of my support and resources. In my experience, it has only been my own self-defeat and the fear of how changing and becoming successful will affect my family that has held me in a place of uncertainty, self-pity, and self-destruction. Learning to honor the pace of my own nature has been one of the most important gifts of stability and sustainability for me. Faith in your own blessings can never steer you wrong. Boundaries are the yeses and no’s you allow in your life, both those you give to yourself and to others. It’s like becoming your own best mother, knowing when to stop working and have fun, knowing when to create and play, knowing when to work and stay steady, knowing when to go to bed, when to eat, and when to separate from the world to dream and bleed. Boundaries are your own best friend. They check the intentions and credentials of everything and everyone we interact with, holding our own best intentions as the rules for the road. If we have no boundaries we have nothing to check in with, nothing to ensure we are steadily upholding our honor, needs, and gifts. We can be like the jungle, thinking nothing of swallowing and integrating everyone and everything that desires to come in. Or we can be like the Arctic, being so inhabitable we rarely have a visitor or companion. Boundaries are what you say they are. They are your choices for what you allow in your life and what you don’t. When we choose to not make a yes or no choice, we are still making a choice—one dictated by your default setting. If you are generally living an existence of people-pleasing you can be sure that it will carry into all areas of your life without blinking. If you say “no thank you” and choose to no longer be a people pleaser, then there is a rule to follow, a boundary between you and that behavior. Now, that’s not to say that claiming this boundary once will be a magic force-field around you that keeps you from doing whatever others need or request of you to make them temporarily happy, content, or placated. Nor will declaring your boundaries keep others who have been trained to expect your acts of servitude, damaging flexibility, and availability to stop asking too much of you altogether. The integrity of our boundaries and grounding is maintained by the repeated choice to make them real in our lives. Making them real will change relationships. More importantly, making choices that uphold your stable grounding and sovereign boundaries will change how you relate to the world around you and the people in it. Do you want to be a strong woman guided by her own light? Then you must be okay with life conspiring with you in support of your wishes as a result. Now it’s your turn. Commit to your morning space of grounding and stabilizing your intentions before you ever open your mouth. Capitalize on your existing practice by adding space and focus for deep connection and receptivity to the earth for grounding and seeing your daily to-do list as a 'get to-do' list. Make it all happen on your terms, at your pace, in a way that suits your needs. Your life is in your very capable hands. Make this the best winter yet. Your spring will thank you. Allow your root chakra to be free to send down roots into the earth. Trust the earth to make a way for you, to meet you and your needs. We have to trust the earth to receive her life-sustaining support. See yourself as a mighty oak tree, with roots equal to, or even three times as tall as your above-ground structure. Let your roots go deep, far, and wide. Let them be your stability, your source for vitamin N; nurturing. Let this connection and relationship bring power to your above-ground boundaries that is equal to the power and nutrition of your below-ground connection. Let your branches and roots be your force-field of grace. Surround yourself with only people, places, and activities that support your growth and stability. No matter how grand the root system of the oak tree, if she is in a lifelong hurricane, she will be uprooted and torn apart. Nurture your nature. Love and appreciate yourself. Use your yeses and no’s with conviction and clarity. Choose weather that brings your oak tree all she needs to grow, thrive, make shade to share and a playground to climb, and to create acorns to feed and plant. Then you will have a personal honor that no one dares to cut down.